Lexington, KY (October 12, 2018) - The United States Dressage Federation™ (USDF) is pleased to announce that Emma Kane, of Algonquin, IL, has been named 2018 USDF Youth Volunteer of the Year. This prestigious award honors one outstanding youth volunteer who has contributed, both nationally and locally, to USDF and dressage. As the winner, Emma will be presented with a perpetual trophy, donated by the Akin family of Warwick, NY, in honor of Lendon Gray, which is on permanent display in the Roemer/USDF Hall of Fame. She will also receive a “keeper” trophy and be featured in the yearbook issue of USDF Connection. For the past few years, Emma has been a member of the Illinois Dressage and Combined Training Association&apos;s (IDCTA) Dressage Committee. During the 2018 competition year, Emma was elected to the IDCTA Board and by the spring, she was named co-chair of their Education Committee. 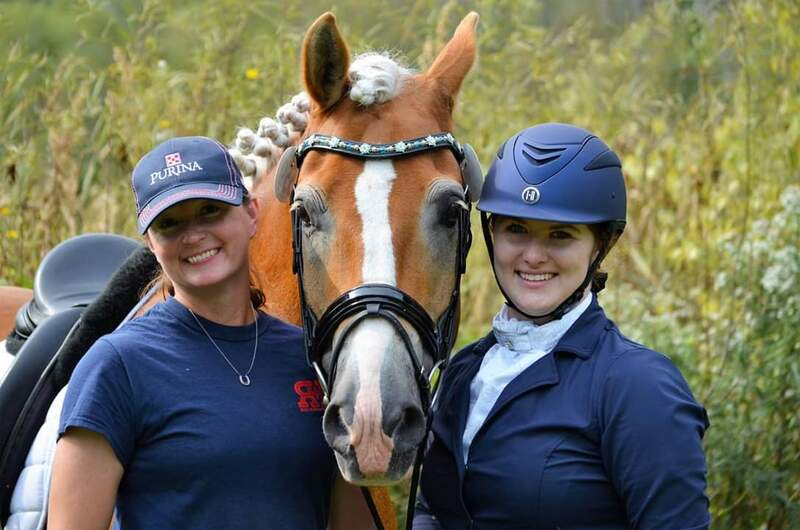 She has been working to promote the Region 2 Schooling Award Program as a way to recognize schooling show riders equally, alongside the recognized show competitiors. In order to promote more youth participation in her region, Emma successfully organized a Dressage4Kids clinic at the Bull Valley Equestrian Center, coordinating the speakers, meals, videographer, and transportation for Lendon Gray, all while also riding two mustangs in the clinic. She also volunteers her time with the Veterans R&R Operation Wild Horse, a 501(c)3 organization that teaches veterans and military families horsemanship and riding skills with mustang horses, where she is active in fundraising and is working to build their website. Emma managed to volunteer for all of these organizations all while carrying an 18 hour courseload at Marquette University, competing on the Marquette IHSA team, and comleting her Bachelor&apos;s Degree after only three years. USDF Youth Programs Committee Chair Roz Kinstler adds, "Volunteers are essential to the success of USDF. It is even more impressive to see youth members involved. Emma Kane clearly shows her commitment to promoting dressage and her love for the sport. It&apos;s always so rewarding to see a youth rider paying it forward already. They ensure a great future for USDF and dressage."